May was the hottest May on record. June was the hottest June on record. July was the hottest July on record. August was the hottest August on record.September was the hottest September on record. October was the hottest October on record. 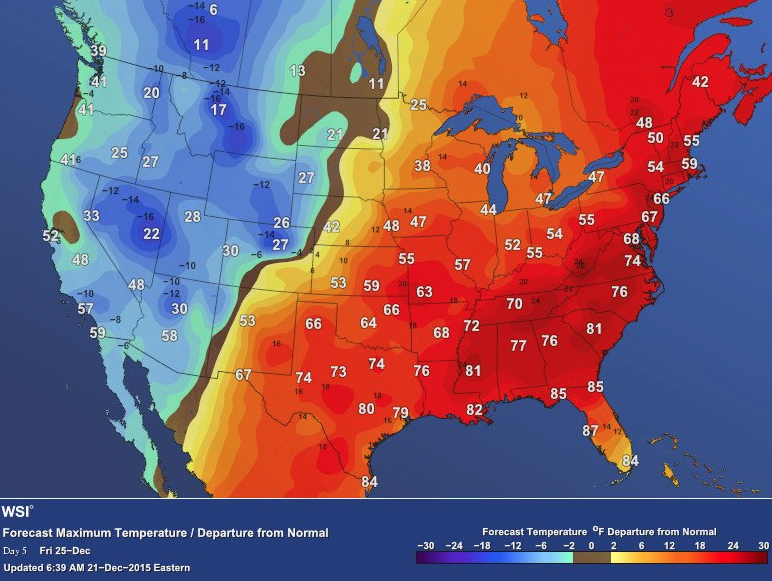 November was the hottest November on record. 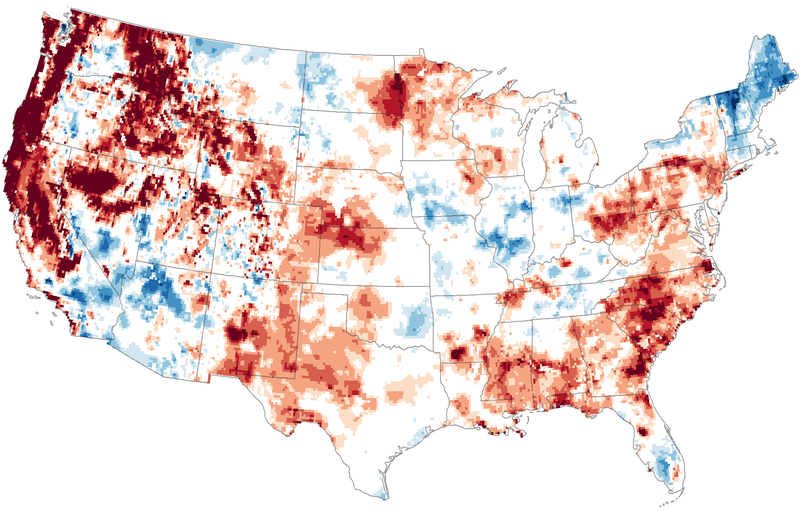 As California entered its fourth year of exceptional drought, the science started to catch up and put our thirsty predicament in context. According to a newNature Climate Change study, California’s drought is officially the worst in 500 years, maybe a millennia. 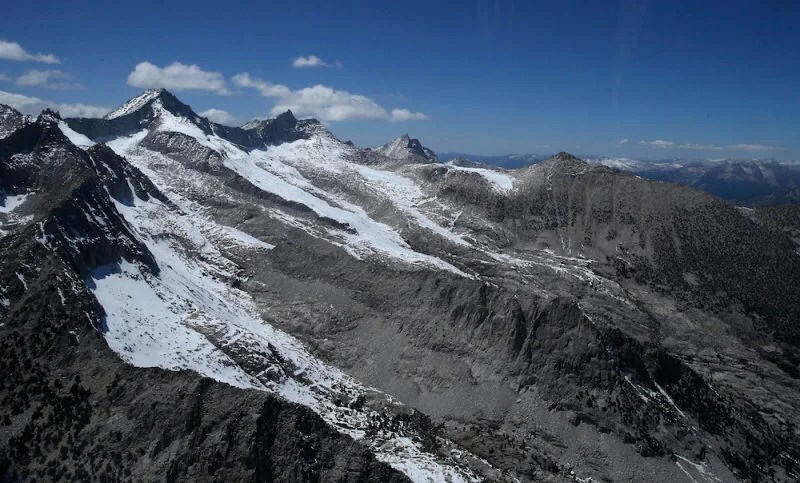 While it would have been a bad drought whether or not humans were messing with the atmosphere, anthropogenic climate change hasmade the situation worse, according to another scientific paper published this summer. And while El Niño will bring some much-needed water to parched regions, the extra rain is unlikely to end the drought. And then things got really weird. Yemen was smacked by a hurricane. Then it got hit by another. If it wasn’t strange enough to have hurricanes in a desert,Yemen had more hurricanes in a week than Florida did in the past decade. This can’t be good. Meanwhile, other El Niño-fueled storms have brought the worst flooding in fifty years to parts of Paraguay, Uruguay, Argentina and Brazil this month. 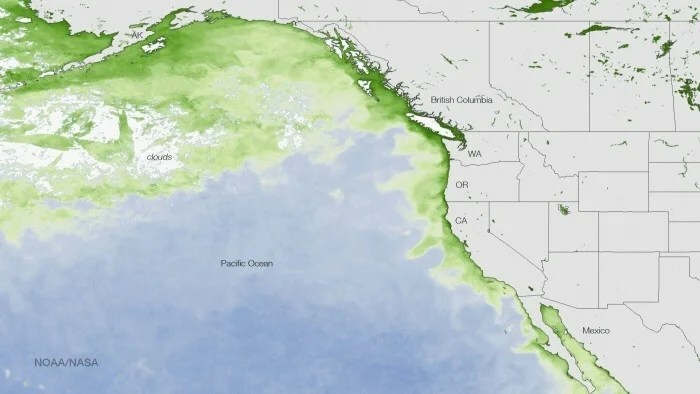 Overall, the winter of the Godzilla Chris Farley climate-aggravated Niño has met andexceeded our expectations for weirdness, and it’s still just getting started. The world went up in flames this summer, thanks to a combination of tinder- dry conditions and high temperatures. By the beginning of July, there werehundreds of fires actively burning across the state of Alaska, and plumes of smoke were wafting thousands of miles south into the Midwest. In Washington state, one of the wettest rainforests on Earth burned. Half a world away, Indonesia was also in the midst of a devastating fire season. By mid October, the island nation had seen nearly 100,000 forest fires, which were collectively emitting more carbon than the entire US economy. 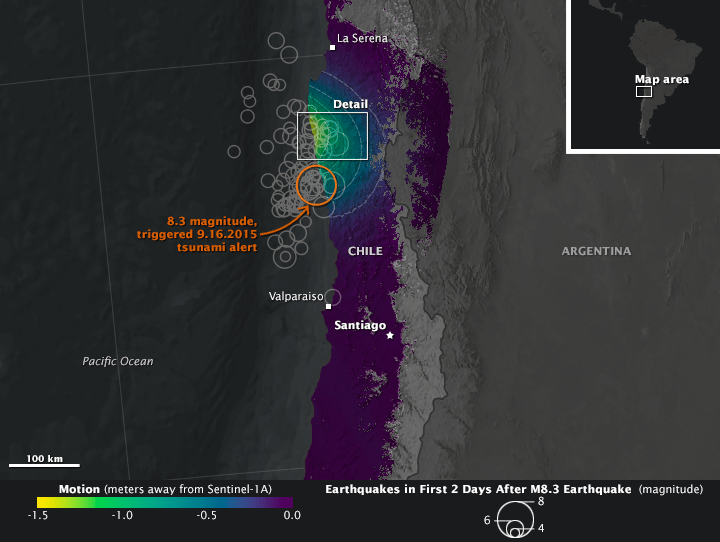 Chile lost the role of the dice with this year’s megaquake. 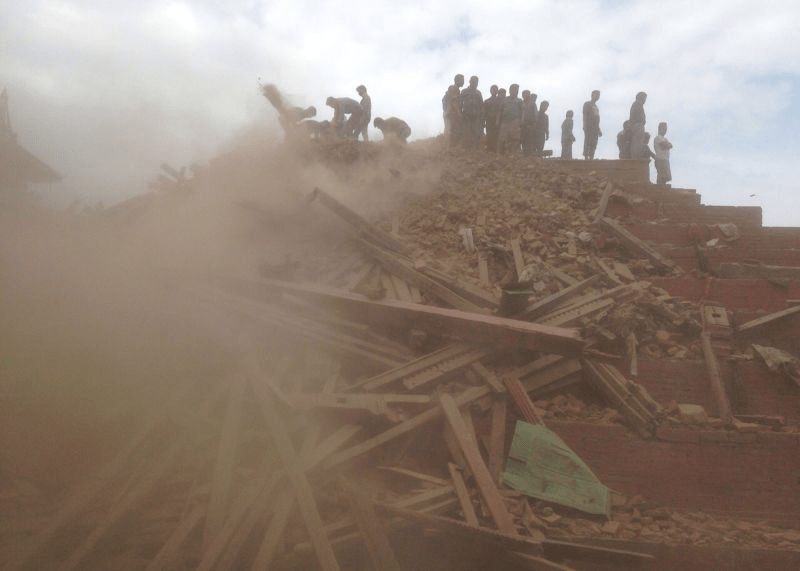 A magnitude 8.3 earthquake struck the country in September, accompanied by a local tsunami. 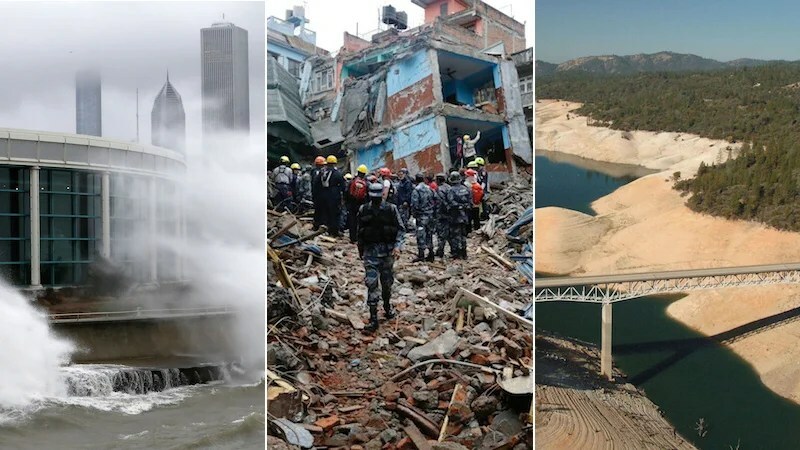 Luckily, the country has doubled-down on improving infrastructure, enforcing building codes, and encouraging personal preparedness in recent years. Despitemoving the ground by up to several feet, the catastrophe resulted in only a handful of deaths and minimal damage. 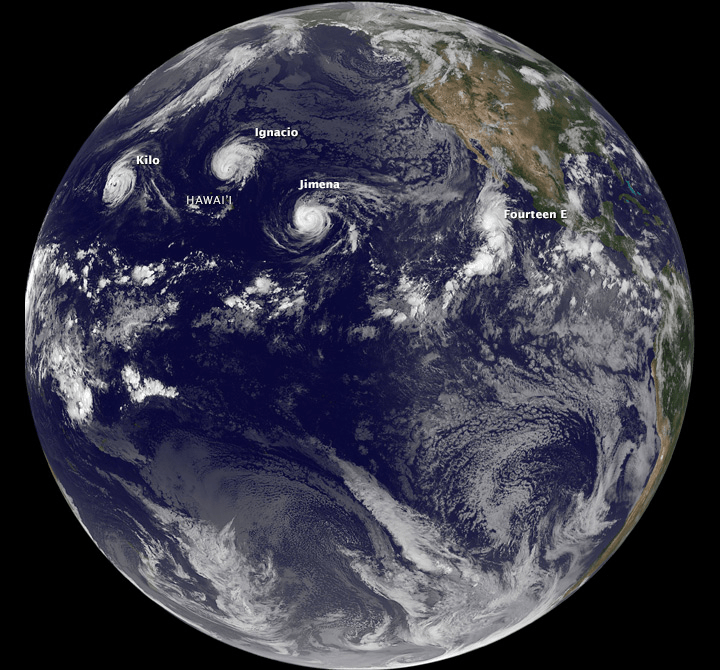 El Niño hasn’t hit disaster status yet, but it’s the looming catastrophe that will shape 2016. 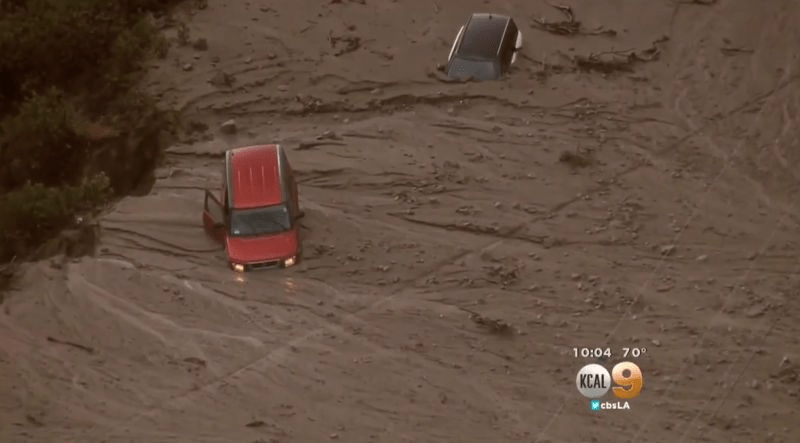 After months of will-it-or-won’t-it, the weather phenomenaamplified to match the worst El Niño on record. For the year ahead, we can look forward toa conveyer belt of storms drenching the west coast and even weirder weathereverywhere else. Follow the authors at @MikaMcKinnon and @themadstone. Want yet more geoscience goodness? Check out@EarthAndSpace! 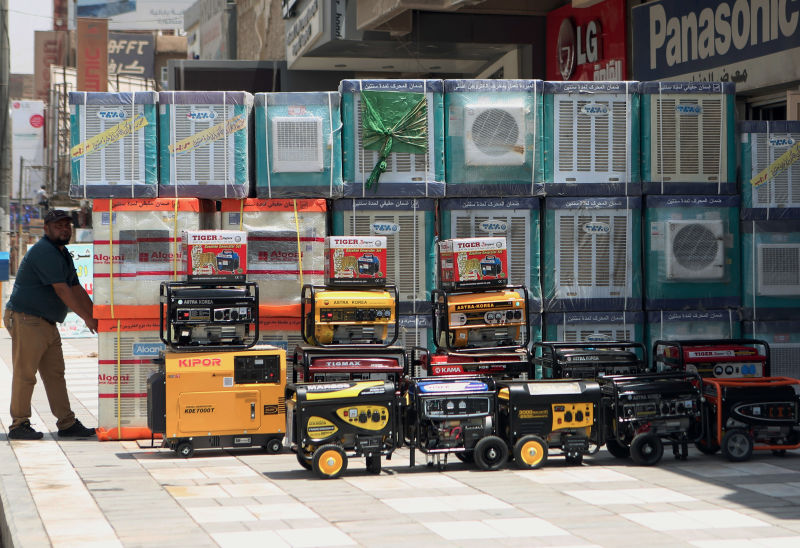 The problem is most acute in East Africa, where only 23% of Kenyans; 10.8% of Rwandans; and 14.8% of Tanzanians have access to an electricity supply, according to the World Bank. In spite of efforts to get people onto the grid, population growth has meant these figures stay fairly steady, with the majority of people still using costly and unhealthy forms of energy for cooking and lighting. 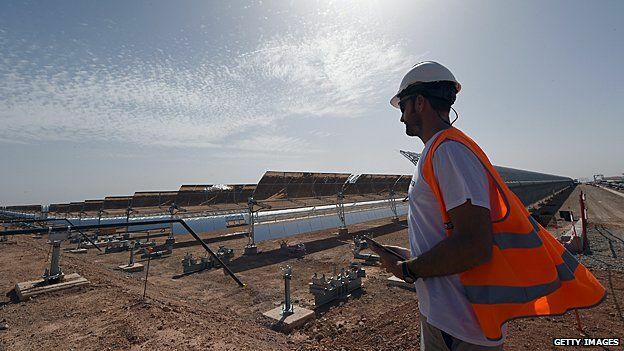 A number of companies and organisations on the continent have identified solar power as the solution. And a new breed of “solar-preneurs” is emerging, increasing access to power and generating revenues at the same time. “Solar is a valuable source of distributed energy,” says Sachi DeCou, co-founder of Juabar, a company operating a network of solar charging kiosks in Tanzania. In agreement is Jesse Moore, managing director at M-Kopa Solar, which provides “pay-as-you-go” renewable energy for off-grid households in Kenya, Uganda and Tanzania. 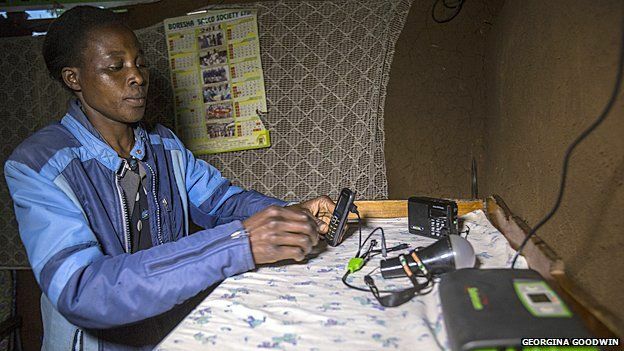 Off-grid households in East Africa, which also are largely low-income households, spend about $0.50-$0.60 (33p-40p) per day on kerosene lighting and basic charging costs, he says. Given the inefficiencies and high costs associated with alternative power sources, solar has proven hugely popular in places where it has been available. M-Kopa Solar provides power to more than 140,000 households in East Africa for $0.45 per day, and is adding over 4,000 homes each week. And with this increased uptake comes economic opportunities for the companies that provide it. M-Kopa Solar’s revenues are nearing $20m per year, and the company is starting to licence its technology in other markets, such as Ghana. 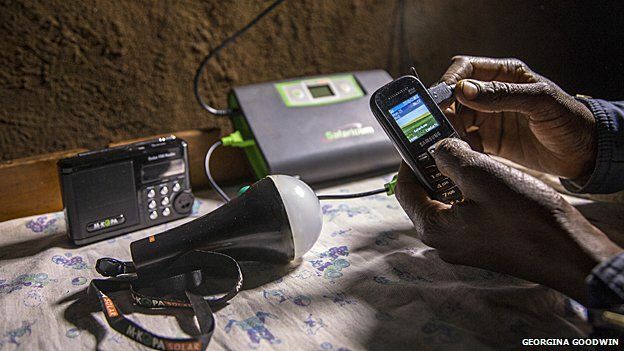 “M-Kopa is demonstrating that off-grid energy will be as revolutionary to Africa in the coming decades as mobile telecommunications have been in recent years. Solar is a massive opportunity for entrepreneurs and investors alike,” Mr Moore says. 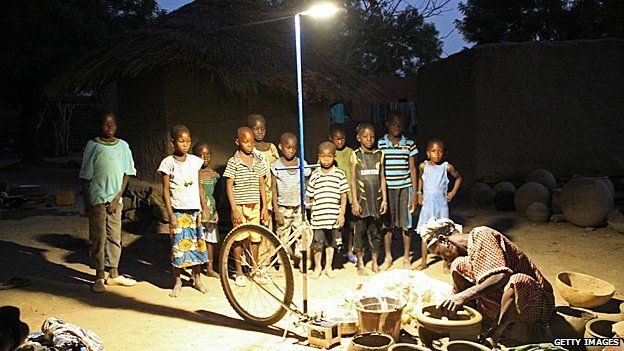 Other business models are seeking to allow ordinary African individuals to start their own solar businesses. 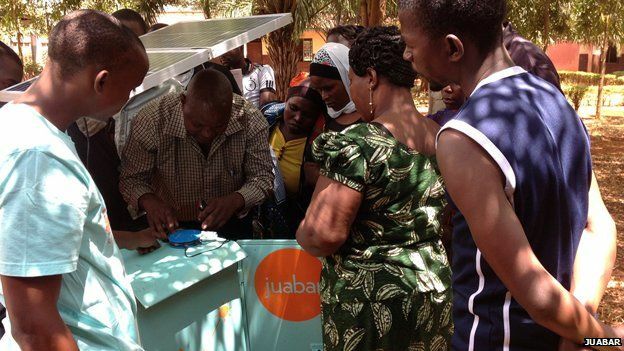 Ms DeCou’s Juabar, for example, builds and operates a network of solar charging kiosks in Tanzania which it leases to entrepreneurs, who then offer electricity services to their communities. Juabar’s entrepreneurs are currently earning profits of between $75 and $150 per month, with the company currently leasing out 30 kiosks to Tanzanians and looking to raise $15,000 through crowdfunding in order to increase that number to 50. “There has been a lot of development in the pay-as-you-go solar space over the past few years, facilitating access by reducing the upfront costs of purchasing a solar system,” Ms DeCou says. “As we continue to make solar technology more widely available and affordable, one of the most exciting areas of opportunity becomes what you can do with this solar electricity. Henri Nyakarundi is employing a similar model in Rwanda. 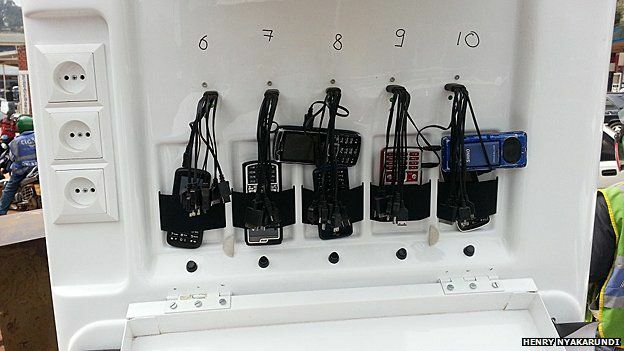 His company has developed a mobile solar charging kiosk. 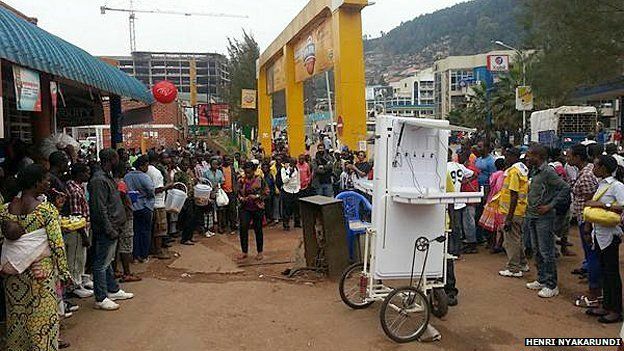 The kiosks are operated under a franchise model, offering Rwandans the chance to run income-generating businesses by providing services such as charging of electronics and sales of electronic vouchers. Wi-fi hotspots will be available from the kiosks soon – there are already 24 up and running with another 100 due this year. Mr Nyakarundi says he plans to offer a single distribution channel for different products, services and content, while providing opportunities for entrepreneurship through a low-cost franchise model. He believes the opportunities to create solar businesses in Africa are “huge”, but as yet, they only exist at the micro level. The next step, he believes, is to move to the macro level – producing power for the grid through solar. “However macro level requires large investment, and unfortunately local banks are still not willing to finance such projects unless you are a big company,” Mr Nyakarundi says. Ms DeCou and Mr Moore cite different issues, with the Juabar co-founder saying there was a lack of adequate data on population density in the areas where the company works. “We do our own research to determine ideal places for expansion, as there is limited access to reliable maps of population distribution,” she says. Mr Moore says the main obstacle to the growth of solar in Africa is the unaffordability of purchasing solar power “up front” for consumers, though he believes M-Kopa Solar has been so successful to date because it addresses the affordability barrier head on. As the likes of Ms DeCou, Mr Moore and Mr Nyakarundi look to boost access to solar and the entrepreneurial opportunities associated with it, assistance has been on hand from east African governments. Ms DeCou commends the Tanzanian government for not charging Value Added Tax (VAT) on solar products, which she says is a great support to the industry and helps to increase access. “Beyond that, there are specific government programmes to help facilitate rural energy access,” she adds. “East African countries offer VAT exemption on all solar products, which is a big saving for a small company like ours,” Mr Nyakarundi says. Many Catholics reveled in the pope’s whirlwind visit to the East Coast of the United States last month. But as the devout return to life as usual, nonreligious Americans may be left scratching their heads, wondering what all the fuss was about. The vast majority of the U.S. population does not belong to the Catholic Church, and a growing percentage of Americans are not affiliated with any organized religion at all, according to a recent survey by the Pew Research Centers. So the question then becomes, what role does religion play in today’s American society? Perhaps oddly, that question can be answered by a group of people not usually associated with religion: scientists. Despite the popular belief that science and religion (or science and the supernatural, more generally) don’t quite go hand in hand, scientists have quite a lot to say about this topic — specifically, why such beliefs even exist in the first place. There are many theories as to how religious thought originated. But two of the most widely cited ideas have to do with how early humans interacted with their natural environment, said Kelly James Clark, a senior research fellow at the Kaufman Interfaith Institute at Grand Valley State University in Michigan. Picture this: You’re a human being living many thousands of years ago. You’re out on the plains of the Serengeti, sitting around, waiting for an antelope to walk by so you can kill it for dinner. All of a sudden, you see the grasses in front of you rustling. What do you do? Do you stop and think about what might be causing the rustling (the wind or a lion, for example), or do you immediately take some kind of action? “On the plains of the Serengeti, it would be better to not sit around and reflect. People who took their time got selected out,” Clark told Live Science. Humans who survived to procreate were those who had developed what evolutionary scientists call a hypersensitive agency-detecting device, or HADD, he said. “You might think that raindrops aren’t agents,” Clark said. “They can’t act of their own accord. They just fall. And clouds just form; they’re not things that can act. But what human beings have done is to think that clouds are agents. 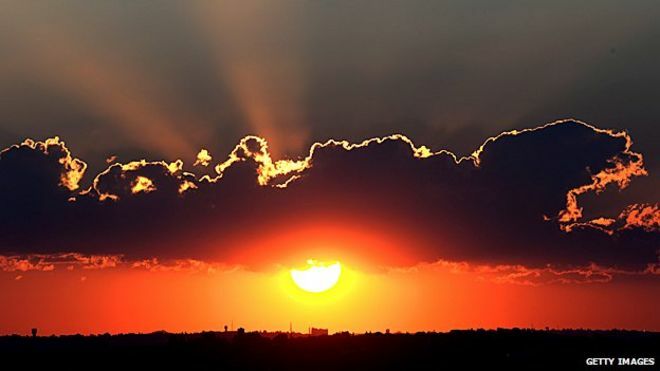 They think [clouds] can act,” Clark said of early humans. And then humans took things to a whole new level. They started attributing meaning to the actions of things that weren’t really acting of their own accord. 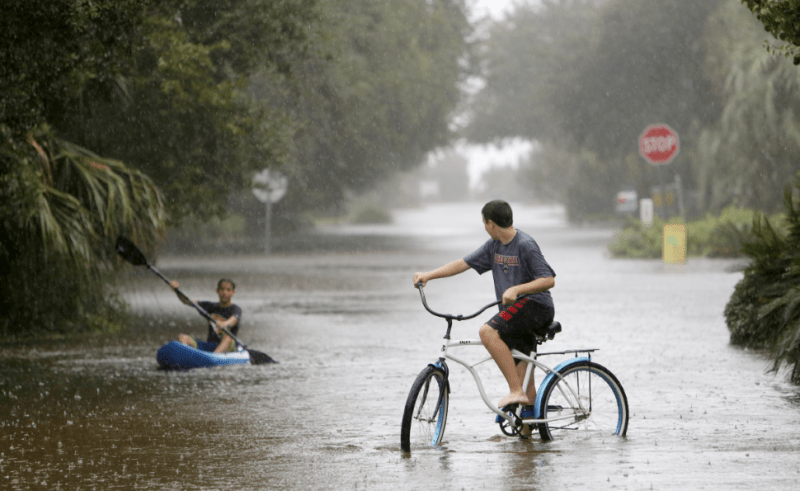 For example, they thought raindrops were “acting for a purpose,” Clark said. ToM was very helpful to early humans. It enabled them to discern other people’s positive and negative intentions (e.g., “Does that person want to mate with me or kill me and steal my food?”), thereby increasing their own chances of survival. 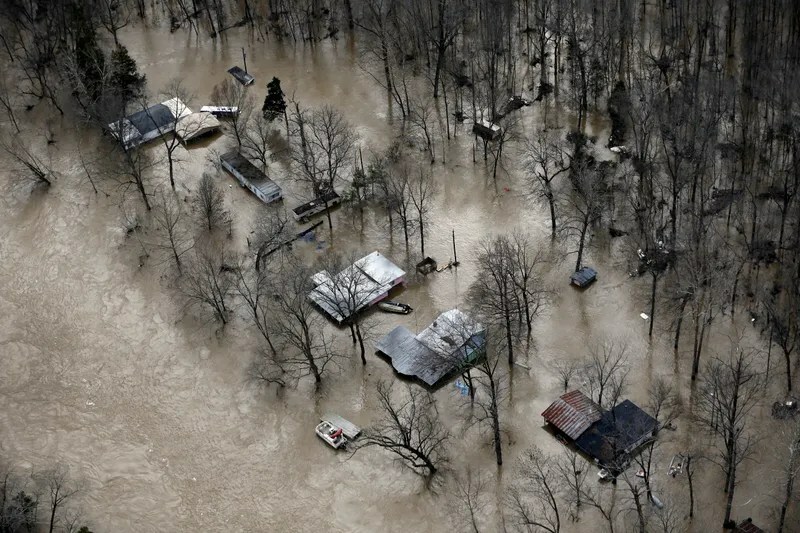 “The roaring threat of a thunderstorm or the devastation of a flood is widely seen across cultures as the product of a dangerous personal agent in the sky or river, respectively,” said Allen Kerkeslager, an associate professor in the Department of Theology and Religious Studies at Saint Joseph’s University in Philadelphia.”Likewise, the movements of the sun, moon and stars are widely explained as the movements of personal agents with extraordinary powers,”Kerkeslager told Live Science in an email. This tendency to explain the natural world through the existence ofbeings with supernatural powers — things like gods, ancestral spirits, goblins and fairies — formed the basis for religious beliefs, according to many cognitive scientists. Collectively, some scientists refer to HADD and ToM as the “god faculty,” Clark said. In fact, human beings haven’t evolved past this way of thinking and making decisions, he added. But not everyone agrees that religious thinking is just a byproduct of evolution — in other words, something that came about as a result of nonreligious, cognitive faculties. Some scientists see religion as more of an adaptation — a trait that stuck around because the people who possessed it were better able to survive and pass on their genes. Robin Dunbar is an evolutionary psychologist and anthropologist at the University of Oxford in the United Kingdom whose work focuses mostly on the behavior of primates, including nonhuman primates like baboons. Dunbar thinks religion may have evolved as what he calls a “group-level adaptation.” Religion is a “kind of glue that holds society together,” Dunbar wrote in “How Many Friends Does One Person Need? : Dunbar’s Number and Other Evolutionary Quirks” (Harvard University Press, 2010). But if the group can figure out a way to get everyone to behave in an unselfish way, individual members of the group are less likely to storm off, and the group is more likely to remain cohesive. Religion may have naturally sprung up from this need to keep everybody on the same page, Dunbar said. Humans’ predisposition to attribute intention to just about everything (e.g., volcanic eruptions, lunar eclipses, thunderstorms) isn’t necessarily the reason religion came about, but it helps to explain why religions typically involve supernatural elements that describe such phenomena. Follow Elizabeth Palermo @techEpalermo. Follow Live Science@livescience,Facebook & Google+. Original article on Live Science..
It’s been a hot, thirsty, fire-ridden summer out West. But to really understand the severity of the drought, we need to look beneath the parched vegetation and deep into the ground. Spoilers: It’s looking awfully dry down there. 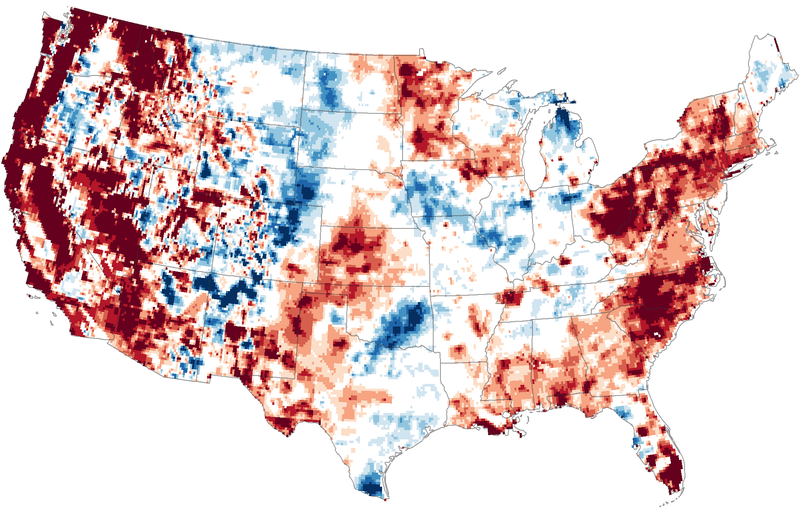 That’s according to NASA’s latest series of soil and groundwater moisture maps, which pull together data from the Gravity Recovery and Climate Experiment(GRACE) satellites, in addition to ground-based measurements. The maps show how water content in mid September 2015 compares with averages for Septembers between 1948 and 2012, with warmer colors indicating drier-than-average conditions. The first two maps look at the moisture content in the top two centimeters (0.8) inches of the soil and the “root zone” — defined as the top meter of soil — respectively. 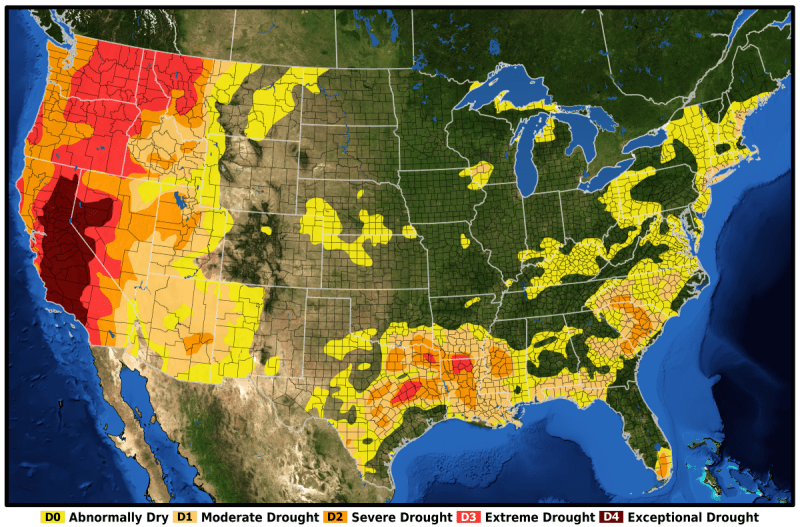 These maps highlight the abnormally dry conditions that gripped much of the Pacific Northwest this summer. In case that wasn’t clear enough from the fact that we’ve seen numerous ground fires flare up across some of the wettest rainforests on the planet. 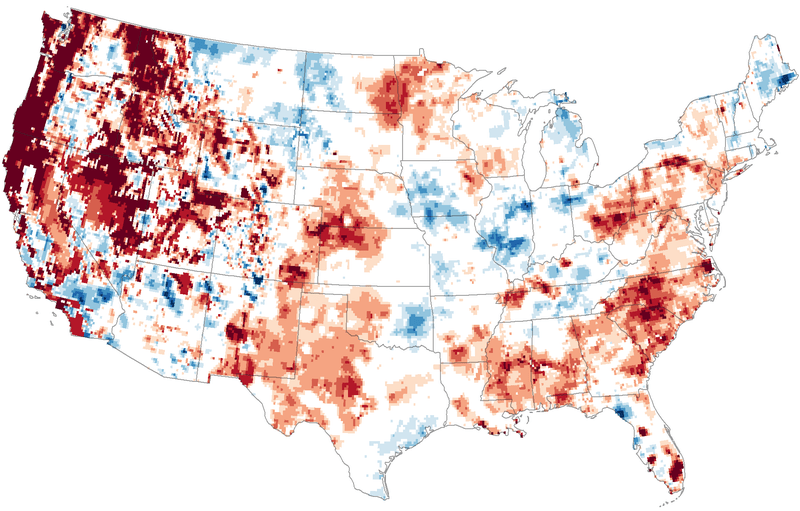 Meanwhile, a third map offers us the longer-term view, showing depleted ground water reservoirs across the entire western US and much of the East Coast. These trends aren’t all that surprising, either: They mirror another recent report which found that we’re draining major aquifers across the world faster than they’re being replenished. It’s a small wonder that farmers out west are drilling as many wells as they can to extract the remaining ground water before it’s gone. Unfortunately, this “grab it while it’s still there” mentality is only escalating the problem. In the end, none of us get to beat water scarcity — we’re going to have to adjust. During a mission to find larval lobsters, marine researchers unexpectedly found a cluster of extinct, 50-million-year-old volcanoes on the ocean floor near eastern Australia. During a recent marine excursion, researchers searching for lobster larva unexpectedly discovered a geologic wonder: a 50-million-year-old cluster of extinct volcanoes submerged in the water off eastern Australia. Follow Laura Geggel on Twitter @LauraGeggel. Follow Live Science@livescience,Facebook & Google+. Original article on Live Science.